Bunker stands as a memorial open to the public as an information centre. The Bunker Valentin is the ruin of a submarine shipyard from the Germany war navy of World War II. From 1943-1945 thousands of forced labourers from throughout Europe were put to work here: civilians as well as prisoners-of-war and concentration camp inmates. More than 1,100 died during the construction due to starvation, illness and arbitrary killings. In the last five years, the Bunker Valentin’s space has been redesigned and is now open to the public for scientific purposes. Along a circular route of 25 stations, the story of the bunker is told with historical photos, witness testimony from those present at the time, and short explanations its history. The route begins with the memorial "Vernichtung durch Arbeit" - Annihilation through Work – and leads from there directly into the Information Center as well as to other stations on the grounds. A video, not shown until now, of the Farge concentration camp. A display of the names and, if possible, photos of the prisons whose forced labour built the bunker. 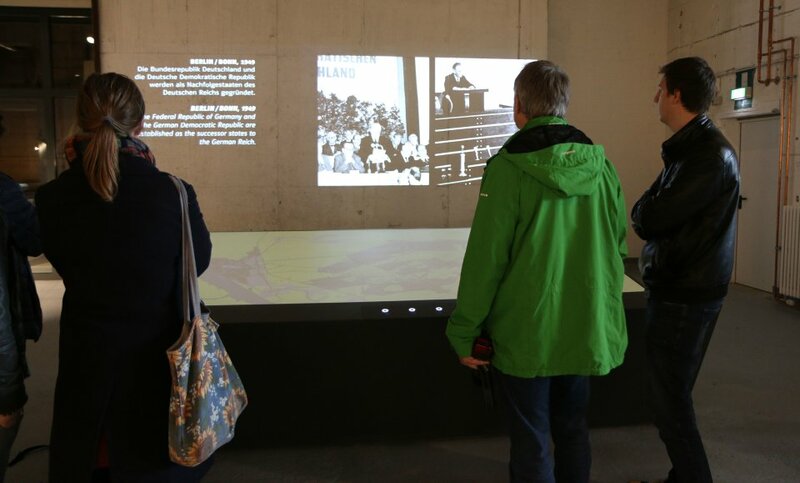 An interactive media table in the foyer of the information centre shows the geographical development of the industrial military landscape around the bunker "Valentin" from the beginning of the 1930s till now. In addition to individual tours, multimedia and audio guides are available for use. 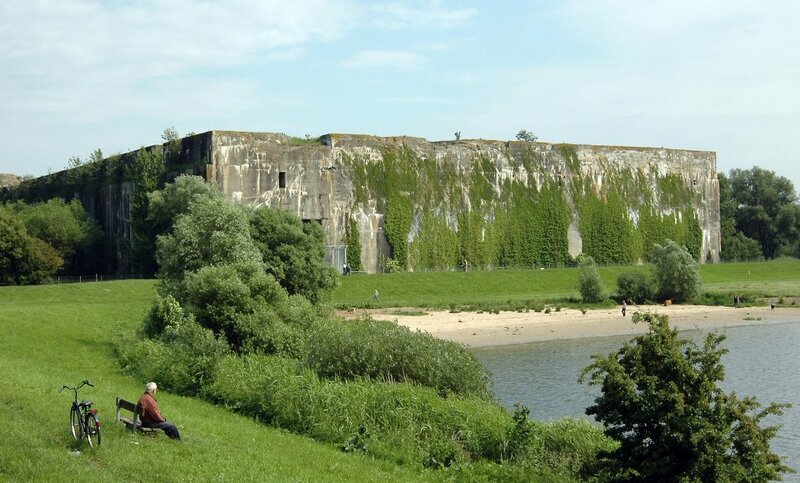 The bunker "Valentin" in Bremen-Farge was one of the largest military projects in Nazi Germany. From 1943 to 1945 thousands of forced labourers from all Europe worked at the site. In the decades following the war, a debate about what to do with the shipyard, which was built with slave labour, raged. Even a complete detonation of the tremendous cement hanger was considered. Finally in the 1960s, the German navy used a part of the building as a storage area for material. The bunker’s compound could only be entered with special permission. 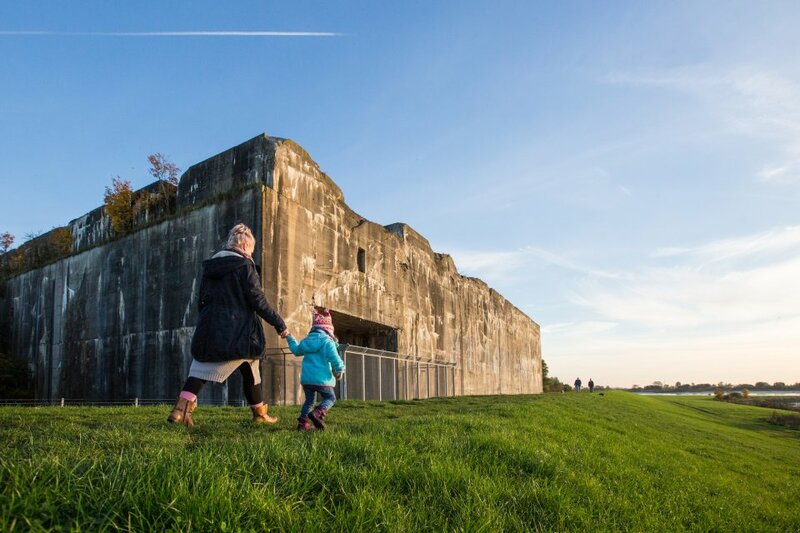 After the departure of the navy, the free Hanseatic City of Bremen decided in 2010 to create and run a Bunker Valentin memorial, a place of historical significance which allows us to remember and reflect. In 1935 the Wirtschaftliche Forschungsgesellschaft (Wifo), a department of the Reich Ministry of Economics created as subterfuge for the concealed propose of preparation of war, began building storage tanks in the Rekumer and Farger Heide in the north of Bremen. Oil and fuel will be stored there for use in the attack being planned by the Nazi regime. 1938 immigration labour is used for the first time for the continued construction of the bunker. 1939 the war navy begins to build up its own underground storage of fuel in addition to that of the Wifo. The plan is to create capacity for 1,7 billion litres. 1943 construction begins for the largest military project of the Unterweser. In less than two years, a bunkered shipyard will be constructed for manufacturing the XXI submarine. The first completed U-boat is planned for March, 1945.